Katsucon 2017 - Love Live! 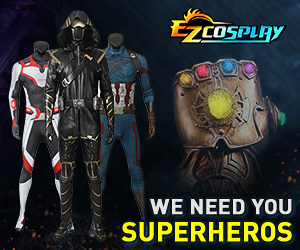 Cosplayers Needed! Next year for katsucon, I wanna do a Love Live dance routine so I would be needing a love live group! &#10240;&#10240;&#10240;-you must either live in Maryland or live near the southern Maryland area. &#10240;&#10240;&#10240; -make sure your health permits with you being able to do this. &#10240;&#10240;&#10240; -please make your costume and don't buy just incase if we do craftsmanship judging. &#10240;&#10240;&#10240; -IF YOU CANNOT MAKE YOUR COSTUME PLEASE DM/PM ME!! I can make it for you all you have to do is get the materials and get your measurements. &#10240;&#10240;&#10240; -Near Katsucon time, have your wig ready and even your costume ready to practice in. Just to make sure we can dance in them. THIS MUST ALL BE IN DM/PM!! Please join! This would be fun!! The costume set picture is not shown. There is no picture, also OMG, I have been searching forever for a love live group, better yet I go to katsucon every year. OMG I really want this to happen plus I live in maryland and not too far from waldorf.